Frankfurt, 21st July 2016 – About 600 decision-makers and experts from the textile and textile machinery industry attended two VDMA conferences themed “German Technology meets Vietnamese Textiles” on 5th July 2016 in Hanoi and on 7th July 2016 in Ho Chi Minh City. In addition, a VDMA training seminar to 200 students took place on 8th July 2016 at the HCM City University of Technology. The participants came from various countries, such as Vietnam, Germany, France, China, Hong Kong, Taiwan, Korea and Turkey. They received information about state-of-the-art technology from 24 participating VDMA member companies along the entire textile chain (spinning, knitting, weaving, nonwovens, dyeing & finishing). Higher productivity, sustainability (energy, water, material efficiency), new textile applications, quality improvements as well as "Industrie 4.0 - opportunities for the textile industry" were just some of the topics raised in the lectures, the panel discussion and the B2B Matchmaking. In 2015, Germany exported textile machinery and accessories worth EUR 35 million (+ 13 per cent 2015/2014) to Vietnam. The events will contribute to further deepening of the relations between the industries. 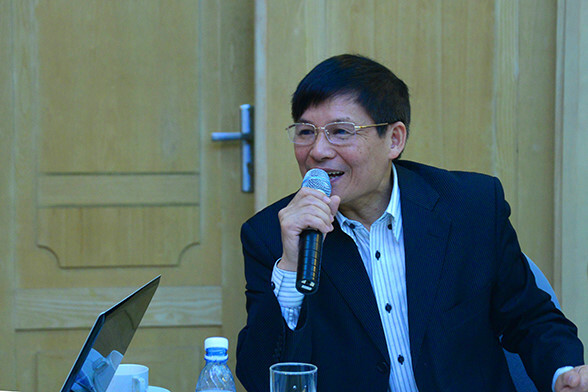 "Vietnam needs the high quality and efficiency of German machines to further invest, in particular, in fabric production as well as dyeing & finishing", stated Mr Truong Van Cam (Vice President and General Secretary of Vietnam Textile and Apparel Association - VITAS) during the panel discussion in Hanoi. "This will help the textile and garment industry to meet the local content requirements and to take benefit from the Free Trade Agreements, such as TPP", Mr Van Cam elaborated. 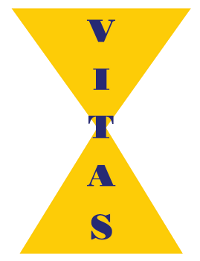 The VDMA events were supported by VITAS (Vietnam Textile and Apparel Association) and various media partners. “The framework conditions for the VDMA conferences in Vietnam were promising. Due to the recently signed Trans-Pacific Partnership (TPP), the country is increasingly becoming a much preferred textile manufacturing location by companies worldwide”, explains Thomas Waldmann, Managing Director of the VDMA Textile Machinery Association. TPP will reduce 18,000 tariffs. Vietnam is almost a sole supplier of textiles among the Trans-Pacific Partnership member countries and an important supplier of textiles and garment to big consumer markets, like the US. Textile and garment exports from Vietnam to the TPP markets are expected to grow by more than 10 per cent 2016/2015. Oerlikon Barmag, Reiners+Fürst, Reseda Binder, Georg Sahm, Saurer Accotex, Saurer Texparts, Setex, Textechno, Thies, Trützschler, Welker Spintech and Xetma Vollenweider. VDMA German Engineering Federation (www.vdma.org) represents over 3,100 mostly medium-sized companies in the capital goods industry, making it the largest industry association in Europe. Mechanical engineering is Germany’s biggest industrial employer with 1,003,000 workers (January 2015). About 130 of the most important manufacturers of textile machinery and accessories from all sectors of the trade are affiliated within the VDMA Textile Machinery Association. Most of the member companies are medium-sized enterprises which stand for approximately 90 per cent of the entire sector volume. In 2015, the branch produced textile machinery worth about EUR 3.1 billion.